If you’ve never heard of sibilance, try saying, “Sally sells seashells by the seashore” three times fast. Not only will your tongue become tied, you will also produce a large amount of sibilance. This is the overproduction of the high frequency hiss at the beginning of an “s” sound along with a few others. The hiss is an essential part of its character, but too much of it will be distracting and almost painful on your recording. Some people naturally produce very little sibilance just by how they speak, and some people produce a lot. Since this varies from person to person, it’s the duty of the podcaster, videographer, sound engineer, or whomever to deal with it appropriately. This process is known as “de-essing” in the audio world due to its focus on the sound of the “s”. Like always, we will approach this first from an environmental perspective. Then, we will examine our equipment choices. Lastly, we will discuss our options in post-production. Overall, this is one of the more simple audio problems encountered, and it carries a simple set of solutions. Now, I said that we would first attack this problem from an environmental perspective because that should be your mindset for all audio problems. However, this particular one does not have any environmental methods that are helpful. We have to move right to our equipment choice and placement. This is because sibilance is not a poor interaction between sound and its environment like reverb is. Sibilance is a problem rooted in the source of the sound, itself. Even without environmental methods, we still have a useful arsenal of tools. The first and easiest thing to do is verify that the speaker or singer is at the appropriate distance from the microphone. The ideal position when it comes to recording with a condenser microphone is about 8 inches away. Especially when it comes to less experienced recording artists, the natural tendency is to stand too close. Since the sounds which sibilance occurs during are produced by blowing air out of your mouth, the distance will reduce the affect of that moving air. For even more of a reduction, a pop filter placed halfway between the subject and the microphone will do a great deal more to restrict the excess flow of air. The next tip has to do with the properties of sound. I’m sure you have noticed that low frequency sounds travel further and in more directions than high frequency sounds. We’ve all heard the loud subwoofer from the car driving down the street. By angling the microphone away from the direct line of sound coming from our mouth, we can make use of this property. The high-pitched, problem frequencies are directional by nature. Angling the microphone away from the direct line of sound almost acts like a natural low-pass filter. The final trick is less orthodox, but it actually works quite well in a pinch. All it requires is a standard, wooden pencil, and a rubber band. By securing the pencil with the rubber band directly in front of the microphone’s diaphragm, you can get a surprising amount of relief from the sibilance. This method works because sibilance is partly the result of moving air. Like a rock in a river, the pencil divides this moving air around it which partially protects the microphone. In addition to sibilance, this method works well for blocking plosives which are also the result of moving air. The main difference between a plosive and sibilance is that the plosive adds a burst of low-frequency to a recording rather than high-frequency. So, you’ve finished your recording, and let’s say that you still aren’t quite satisfied with how much sibilance is present. You don’t have to call your artist or actors back in for another take if the sibilance isn’t too over the top. 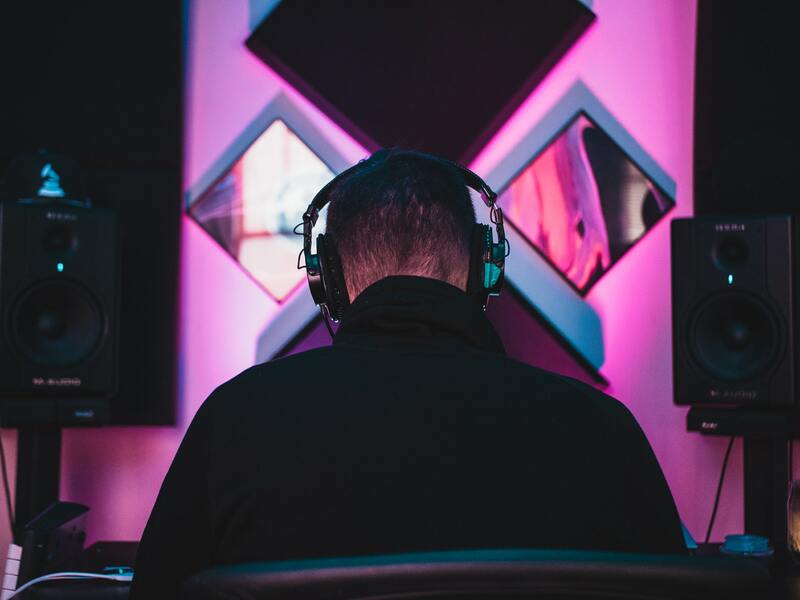 With experience, you will come to know the limitations of mixing so you can judge for yourself if de-essing will work well enough within your digital audio workstation (DAW). The first option that typically comes to mind is the use of EQ. All recordings benefit from the use of this tool in some shape or form. By experimenting with a reduction in the 5k-10k range, you will notice a difference in the amount of sibilance you hear. Unfortunately, this reduction is consistent while sibilance is intermittent. A reduction in volume at this range that is effective for sibilance may harm the rest of the recording. For this reason, most preferred mixing techniques will provide on-the-spot reduction to leave the rest of the recording unaffected. One way to single out the sibilance is by the use of various types of compressors. Compressor do exactly what their name says, they compressor the range of volume on a recording. With a multiband compressor, you can fine tune the plug-in to focus on the exact frequency range where the sibilance is occurring and raise the compression ratio. Lastly, by adjusting the volume threshold, you can ensure that the compressor will only compress that frequency range if it becomes too loud. This leaves the rest of the recording where that frequency range occurs untouched. There are a few specialized types of these like the Split-Band compressor and the Wide-Band Compressor which have different ways of processing this to the same effect. While compressors do all the dirty work within the parameters you’ve set, it’s possible to get an even more fine-tuned mix with a little more effort and time. Rather than using a plug-in, you can address each instance of sibilance individually. 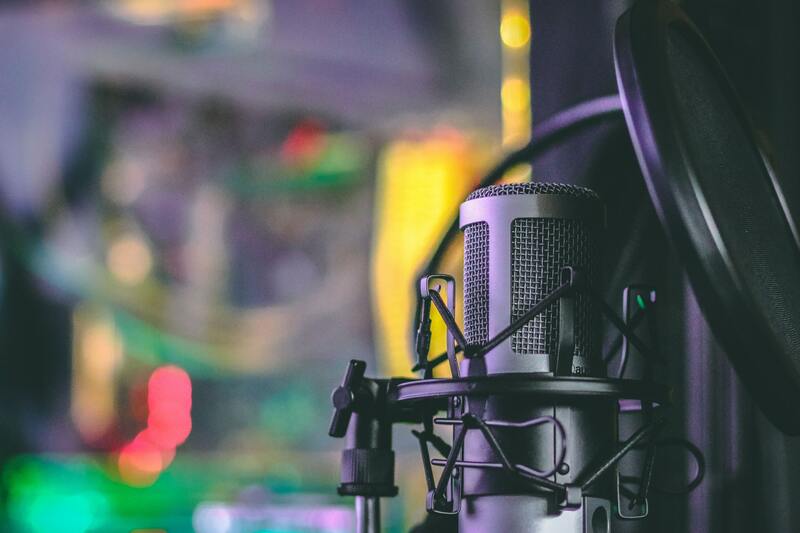 By using volume automation, you can single out each piece of the recording that needs addressed with a tailor-made dip in volume. Not every sibilance is the same, so this gives you the option to take off more or less volume depending on how bad the sibilance is. De-essing is a subtractive process. This separates it from other audio editing methods like adding reverb or distortion. It’s the taking away of sound rather than the adding of sound. Any type of subtractive editing carries with it a stricter set of rules compared with additive editing, because the goal is to improve the original recording. For example, an artist can justify the addition of whatever type of reverb they want purely because it’s what they want. With the subtractive editing for things like sibilance, it’s a lot less subjective. Either you find a way to remove the annoying frequencies, or you don’t. Even an untrained ear can hear if you have done this well or not. Since the stakes are high, it’s best to stick to the tried and true methods. Rule number one seems obvious, but it has to be stated. TRUST YOUR EARS! It’s almost silly to mention this, but there are many times that we trust the numbers and values we see in our plug-ins that tell us that our recording “should be” ok. We do this instead of trusting what we hear. Don’t be afraid to experiment and push the boundaries of how these tools are typically used. You may find yourself happier with the end result. The next rule is a little more technical. 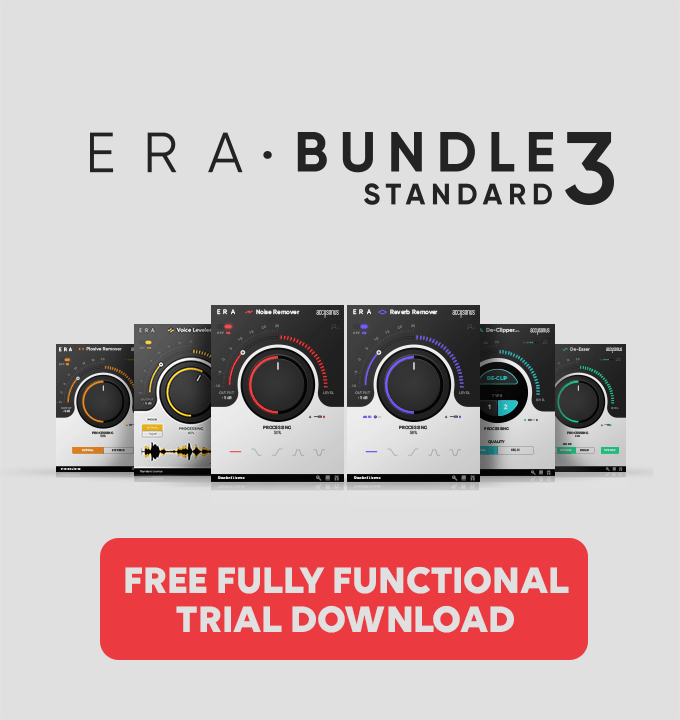 Add your plug-ins to the track in a logical order. According to rule number one, there is no wrong way to do this, but there are a few things related to de-essing that ought to be mentioned. When applying a Split-Band or Wide-Band compressor, make sure that it is after your overall compressor in the plug-in chain. It wouldn’t make sense to turn up the overall level of the track after you’ve just tried to lower the volume of the sibilance. Lastly, the skills acquired in learning to de-ess fit within a broad spectrum of audio editing skills that can be applied to many different scenarios. Use the volume automation to fix similar problems on instrument tracks, too. Apply a Split-Band compressor to control frequencies outside of the realm that de-essing usually requires. High frequencies aren’t only produced by the “s” sound, so these skills will come in handy often. 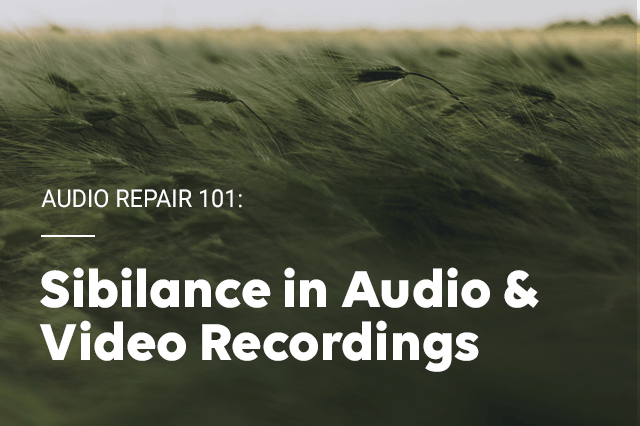 As long as you have done your due diligence in recording, you should have very little to clean up in your mix. The two main methods we discussed for mixing both have one main advantage and one main disadvantage. The compressors are less time consuming to set up, but they offer less control. The volume automation gives more control, but it’s very time consuming. If you want the best of both worlds, or if both of them sound a little too complicated, try the ERA De-Esser. Its intelligence gives it the advantage over the compressor which is only able to compress within the parameters you set it to. The De-esser is able to decided based on its algorithms how to react to the track to provide the right amount of adjustment which gives it the ease of a plug-in, with the control of individual attention.